Happy Friday! 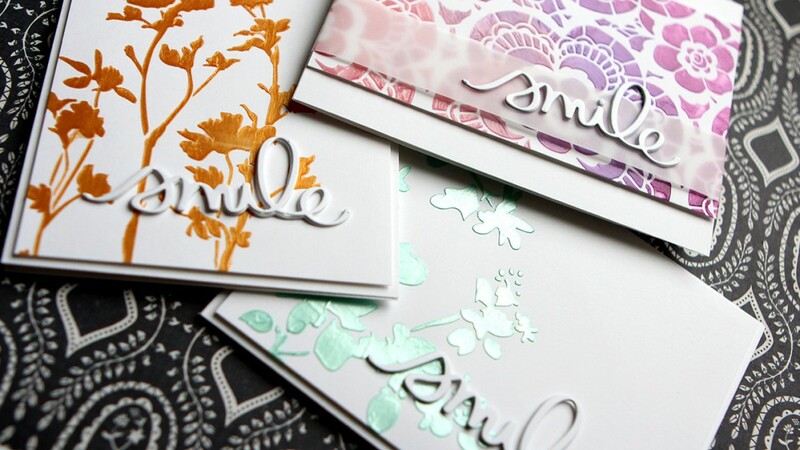 Today I have three cards for you using stencils from Tim Holtz and different embossing pastes. First, I used the Blossom Layering Stencil with Dazzlerz paste from Shimmerz Paints in the color Sea U In the Mornin’. 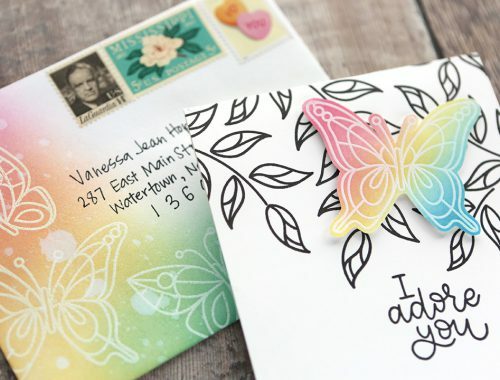 This embossing paste has a pearlescent sheen and is so pretty! The video and photos don’t do it justice. 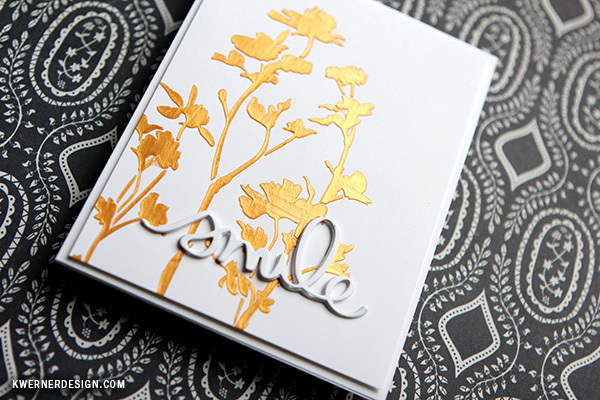 Next up was the Wildflower Layering Stencil with Metallic Gold Embossing Paste. This embossing paste dries to a different color and finish that what it looks like in the jar. So pretty! 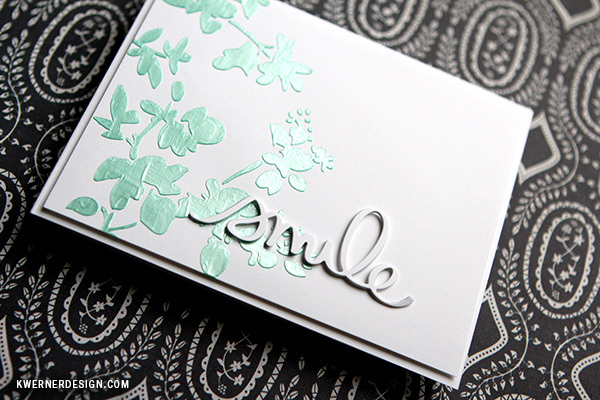 The third and final card that I created was with the Lace Layering Stencil. 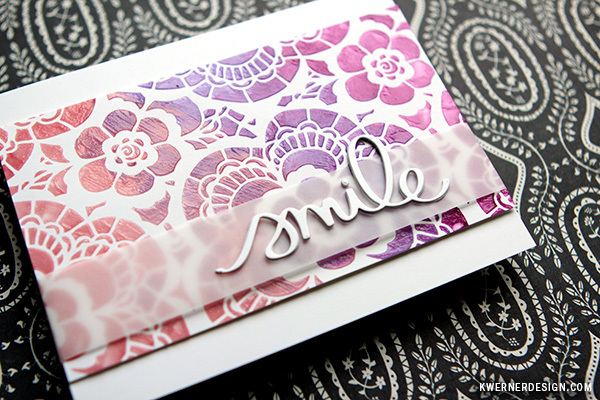 I used Victorian Velvet, Dusty Concord, and Seedless Preserves Distress Inks to color Translucent Embossing Paste. I loved how this turned out! 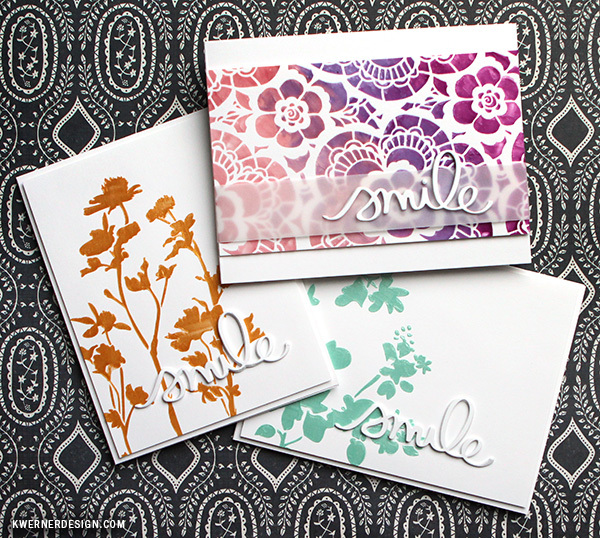 I finished off all three cards with the Smile Script die from Mama Elephant.